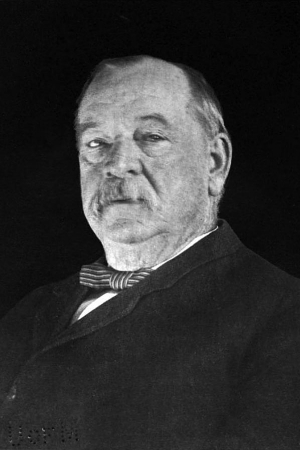 Nickname: "Veto Mayor"; "Veto President"
On November 25, Vice President Thomas Hendricks died in office. On January 19, Cleveland signed the Presidential Succession Act. On May 8, Cleveland votes the first of several bills granting military pensions to Civil War Union veterans. Hundreds of these claims were bogus and had already been rejected by the Pensions Bureau. On March 3, the Tenure of Office Act repealed. On May 4, the National Cordage Company and the Philadelphia and Reading railroads declared bankruptcy leading to the Panic of 1893. On July 1, Cleveland underwent oral surgery to remove a cancerous growth. This was performed in secret aboard a yacht in New York's East River. On July 3, Cleveland sent federal troops to Chicago to break up the two-month old Pullman railroad strike. On August 8, the U.S. government recognized the Republic of Hawaii. 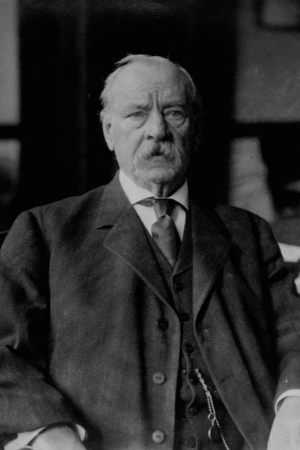 Cleveland intervened in the boundary dispute between Venezuela and the United Kingdom citing the Monroe Doctrine as his justification. Facts about Tyler and his presidency. 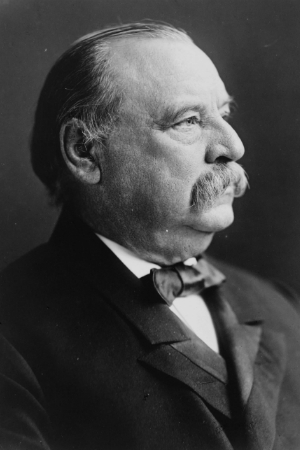 The goal is to increase awareness and support of the Grover Cleveland birthplace and its heritage. Activities include support of educational programs and lectures, interpretation and preservation of the birthplace and its collection of historic objects, and history-themed social activities. Cleveland’s house in Princeton is a private residence. 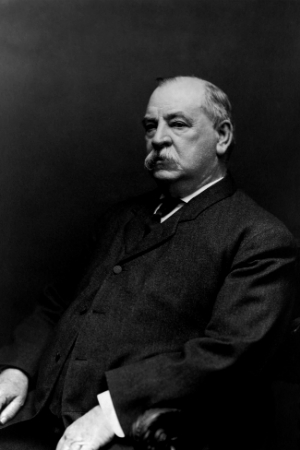 Cleveland is the only president to serve two nonconsecutive terms. Cleveland discovered a cancerous growth on the roof of his mouth in the middle of the economic crisis of 1893. So that his illness would not cause a greater panic, he and several doctors snuck aboard a pleasure boat and removed the growth. The public thought he was on a fishing trip and never knew the truth until 1917. While sheriff of Erie County, New York, Cleveland was also the public executioner and personally hanged two murderers. Cleveland was the first executive movie star. In 1895, Alexander Black came to Washington and asked Cleveland to appear in "A Capital Courtship", his photoplay. He agreed to be filmed while signing a bill into law. "A Capital Courtship" was a big hit on the Lyceum Circuit. 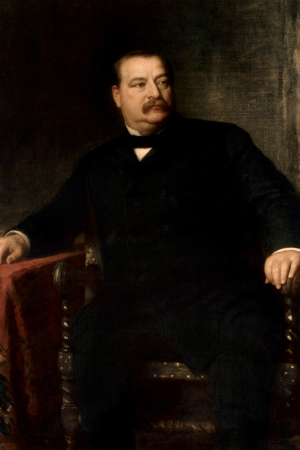 Since Cleveland was the sole supporter of his family during the Civil War, he paid a substitute to take his place. Cleveland answered the White House phone, personally. Cleveland vetoed 414 bills in his first term, more than double the 204 vetoes cast by all previous presidents. Cleveland used his veto powers 584 times during his two terms. This is the highest total of any president except Franklin D. Roosevelt, who served three terms. 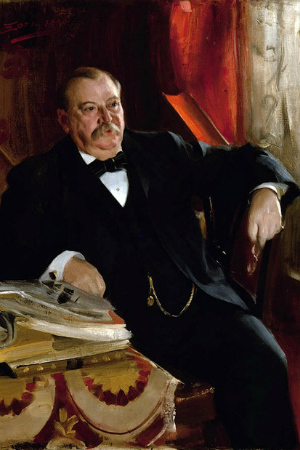 "Death and Destruction" was the name that Grover Cleveland gave to his favorite hunting rifle. He was the only president married in the White House. At the time of his marriage he was 49 years old making him the oldest president to be married for the first time. According to the Curtiss Candy Company (and now Nestle ®), the Baby Ruth candy bar was named after Cleveland's baby daughter, Ruth. Snopes.com, the Urban Legends Reference Pages, argues that this is false and that the candy bar was named after famous baseball player Babe Ruth. The only president's child born in the White House was Cleveland's daughter Esther.